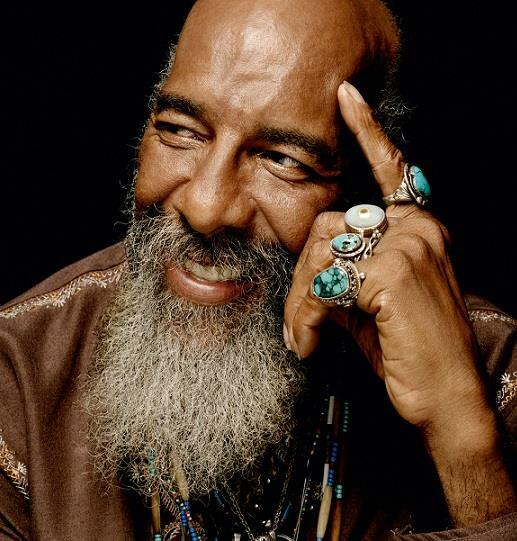 Richie Havens (1941 – 2013) was not the greatest or most celebrated musical figure of his generation. He was something better. Richie Havens was an embodiment of the notion that we could all live together, black and white, all people, as people should live together. He was a gentle voice amidst a lot of anger. He seemed to say by just who he was, or who we thought he was, that we could live without bombs and guns, hatred and resentment, riots and repression. Without careers, economic classes, endless competition to get ahead, get to the top, rule the world. We could be color blind. Better. We could like whatever color you were because you were you, not your color. Whatever you were was cool, good to be, open to me. Open to you. He could strum that guitar like no one before or after. It reverberated. It throbbed. It reached down deep in us with rhythms born in Africa and brought by ships to these shores. And simmered in the Delta, then sent up the Mississippi to Chicago and electrified. He could sing with that deep voice with so much feeling and warmth and, yes, love. When people, some people at least, believed in love as the primary life force. Or at least that it could be. In that performance at Woodstock, all that was best in an era was on stage. Was all our lives. Was all our hope. If it was a Camelot that couldn’t last, none can. If it was a lie, if it was an illusion, it was a beautiful one and he was a beautiful man. And as long as he lived at least a little of that light lived. “Handsome Johnny” indeed. The world is a little darker tonight.